Tom Cruise's entire top row of teeth is shifted to the left by one half tooth! 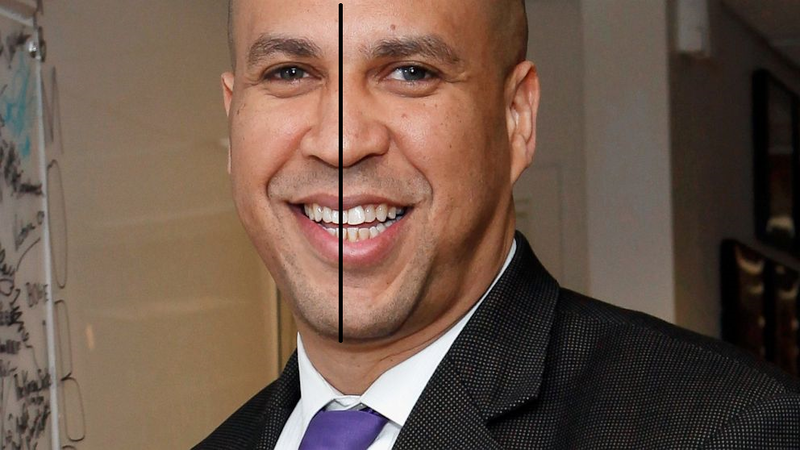 If you look at the photo, [from the cover of a Good Housekeeping in 2006] and look at the line down the center of his face, the center line SPLITS HIS ONE FRONT TOOTH! Don't most people have TWO front teeth? HE IS THE SPAWN OF SATAN!! So what does that make Cory Booker?